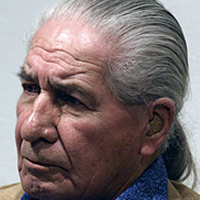 OREN LYONS, Faithkeeper of the Haudenosaunee, (Six Nations) noted that it was Earth Day. He went on to say that, 31 years ago, more than 100 indigenous delegates journeyed to Geneva to brief the United Nations on the state of indigenous peoples. Though they were survivors of a horrendous genocide, they had chosen not to speak for themselves, but rather in defense of the natural world. They had warned against exploitation by industrial States. In their opening address, they had spoken of the natural world, represented by the eagle, which, it was to be noted, had no seat at the Palais des Nations. He said humans were bound by the laws of nature. In 1978, an Indigenous runner from Greenland again informed United Nations that ice was melting in the north. Twenty-two years later, at the Millennium Summit, he himself brought the same message to the United Nations. Today, the same message was being delivered, but with positive options. However, time was an urgent factor and there was a short time left to arrest global warming. How the human species would fare was totally in its hands. Business as usual could not proceed. 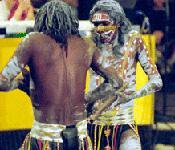 Old values of commerce and consumerism must change to one of conservation, cooperation and sharing. The United States Government must join the industrialized world to place a carbon cap on its activities; since it owned one quarter of world's carbon footprint, it must be a leader for common sense and positive change. It was up to States, and not individuals, to make the required changes -- to rein in and regulate corporate power. "Our fate is in our hands," he said, adding that no matter what happened, "we will have no one to blame but ourselves". 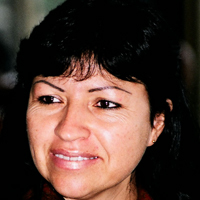 AZELENE KAINGANG, Caucus Indigena de Latinoamerica, said the industrialized countries were responsible for global climate change, with their wastefulness and over-consumption. The poor countries should not be blamed for the ills produced by those with unbridled consumption. Furthermore, it was unacceptable that those wasteful countries, who were party to the Kyoto Protocol, should make decisions on how to control climate change without consulting indigenous peoples. States and United Nations agencies should adopt the recommendations in the Declaration to address climate change and there should be immediate implementation. Further, States must be urged to ensure the full and effective participation of all peoples in processes that affected them. Governments should be urged to require corporations to get free prior consent with all the cautionary conditions. They should also control deforestation. More than 3000 indigenous people are at United Nations headquarters in New York for the UN Permanent Forum on Indigenous Issues. Climate change is the hot topic for the two-week meeting, as we hear in this report from Dianne Penn.